These Terms, and any rights and licenses granted hereunder, may not be transferred or assigned by you, but may be assigned by Social Attraction without restriction. Any attempted transfer or assignment in violation hereof shall be null and void. In order to use this web site, use our products, or attend live events you must register on our site, agree to provide truthful information when requested, and be at least the age of eighteen (18) or older. When registering, you explicitly agree to our Terms and Conditions and as may be modified by us from time to time and available here. If you enroll for a seminar, event or conference through Social Attraction, all course materials will be provided by the seminar organizers whether that be us or another company we partner with, either in advance of, or on the date of the first day of the event. Social Attraction will maintain confidentiality of all information you choose to store on the Social Attraction servers including account, login name, and password. We have has no liability for any loss or damage you may suffer in attending a live event, other than that required by law. You warrant that you have sufficient insurance to cover any loss or damage you may suffer at any live event. You must pay in full and in advance for any live event on which you have booked a place, unless we offer an alternative payment method. The price applicable is that set at the date on which you place your order. Event costs, service costs and payment fees are recognized before confirming the purchase. If you are under 18 years old you must have parents’ permission to buy from Social Attraction. All transfers conducted through Social Attraction are handled and transacted through third party dedicated gateways to guarantee your protection. Card information is not stored and all card information is handled over SSL encryption. Please read the Terms and Conditions for the payment gateway chosen for the transaction as they are responsible for the transactions made. Social Attraction Limited operates a credit-only system, whereby if you wish to cancel your place for a live event you are not entitled to a refund for any payment you have made, whether a deposit or payment in full, other than in accordance with your statutory rights, but may transfer this payment towards a later identical event (or one of greater value). Deposits are taken at any time in advance of our courses with the final payment due 14 days before the course start date. Our 100% Money back guarantee is in only valid if you are not happy with our tuition within the first 2 hours of any of our courses; this needs to be brought to the attention of the course host within this time frame. If it is not brought to our attention at this time, then we are not able to offer a refund or part refund for the rest of the course. All photos and videos taken as part of our Social Attraction courses and events are to be retained by Social Attraction Ltd and may be used to promote our services, products and full use on social media. Social Attraction Ltd owns the IP on all videos and photos taken during our courses and events. If you do not wish for your images or videos to be used then please inform us in advance of your course dates. Upon completion of your access to the Site, if a Customer agrees to purchase a Subscription Plan and a Support Plan for continued use of the Site, Web Services, Data and Third Party Data. Upon selection and purchase, access to the Site Subscription, Web Services, Data and Third Party Data will be provided in accordance with the terms of the specific Subscription Plan selected by the Customer via the Site. Term: This Agreement will commence when You click “I accept” or “I agree” and shall continue thereafter, this Agreement shall renew on the date of purchase (the “Start Date”) of the Subscription Plan, if any, that you select to purchase to use the Web Services, Data or Third Party Data. This Agreement shall continue from the Start Date through the initial term specified by the Subscription Plan (the “Initial Term”). At the end of the Initial Term, this Agreement will automatically renew on the day following the last day of the Initial Term (“First Renewal Date”) and will automatically renew thereafter on the first day of each renewal period (“Renewal Period”) as specified by the Subscription Plan, unless either party provides to the other written or electronic notice of termination in accordance with the terms of this Agreement. The Date of the Subscription Plan, and each subsequent renewal term specified by the First Renewal Date and the Renewal Period of the Subscription Plan are collectively the “Term”. Right to Terminate: After the Start Date, either Party may terminate this Agreement for any reason prior to the beginning of each renewal term as indicated by the First Renewal Date and the Renewal Period of the Subscription Plan by delivering written or electronic notice of termination at least ten (10) days prior to the beginning of each renewal term. Notwithstanding the foregoing, either party may terminate this Agreement at any time in the event that the other party breaches any material term of this Agreement and fails to remedy such breach within ten (10) business days after receipt of a written notice of any such breach, or if such breach cannot be remedied within that period of time, fails to demonstrate to the satisfaction of the non-breaching party that it is taking steps reasonably necessary to remedy the breach. Inability to Provide Data and Third Party Data: If Provider ever loses the license, right or ability to provide any portion of the Data or Third Party Data, or such license or right is ever interrupted or otherwise impaired, then Provider agrees to notify Customer of such fact if permitted to do so and Customer may immediately terminate use of any portion of the Web Services and Provider will refund the prorated Subscription Fees (defined below) associated with the unused portion of the Web Services. Survival: The provisions of the Definitions Section and Sections that by their nature should reasonably survive, and any amendments to the provisions of the aforementioned will survive any termination or expiration of this Agreement. Subscription Fees: Customer will pay to Provider fees in connection with the Subscription Plan and the Support Plan selected by Customer to use the Web Services, Data, and Third Party Data (“Subscription Fees”). Thereafter, Subscription Fees for Customer’s use of the Web Services, Data and Third Party Data shall be (i) as described and/or as selected by You via the Site in connection with purchase to use the Web Services, Data and Third Party Data or (ii) negotiated between You and Provider by creating an addendum to this Agreement. Unless otherwise negotiated between You and Provider in an addendum to this agreement, all Subscription Fees are due at the beginning of each subscription term as specified in the Subscription Plan and Provider will charge the method of payment You provide via the Site in the amount of the Subscription Fees in connection with the Subscription Plan that You select. Subscription Fees are exclusive of taxes, duties, levies, tariffs, and other governmental charges (including, without limitation, VAT) (collectively, “Taxes”). Customer shall be responsible for payment of all Taxes and any related interest and/or penalties resulting from any payments made hereunder, other than any taxes based on Provider’s net income. Web Services Overage Fee Adjustment: Provider will notify Customer in writing should Customer exceed its average volume limit associated with a Web Service over a two (2) week period. Upon notification, Customer will have two (2) weeks to reduce its volume to comply with its current Web Service volume limitation. Should Customer continue to exceed its Web service volume limit, Provider will upgrade Customer’s current Web Service level to accommodate the higher volumes and adjust the Subscription Fee accordingly. Should Customer decline to accept the adjustment, Provider can terminate the agreement in accordance with the Terms & Termination. Prorated Refund of Subscription Fees: Upon termination of this Agreement, any unused prepaid Subscription Fees will be refunded to Customer no later than thirty (30) days from the date of termination. The refund amount will be the difference between the prepaid Subscription Fees and the pro-rated portion of the Subscription Fees due for use of the Web Services up to the date of termination calculated on a daily basis as the number of days in the current term prior to the date of termination divided by the total number of days in the current term. You agree to indemnify and hold us harmless, our subsidiaries, affiliates, related parties, officers, directors, employees, agents, independent contractors, advertisers, partners, and co- branders from any claim or demand, including reasonable attorney’s fees, that may be made by any third party, that is due to or arising out of your conduct or connection with this web site or service, your provision of Content, your violation of this Terms and Conditions or any other violation of the rights of another person or party. 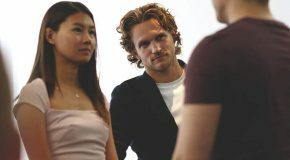 For any disputes or discrepancies you may have with Social Attraction, you agree to first contact us and attempt to resolve the dispute with us informally. Any controversies or disputes arising out of or relating to this Agreement shall be resolved by binding arbitration in accordance with the then-current Commercial Arbitration Rules of the England Arbitration Association. The parties shall select a mutually acceptable arbitrator knowledgeable about issues relating to the subject matter of this Agreement. In the event the parties are unable to agree to such a selection, each party will select an arbitrator and the two arbitrators in turn shall select a third arbitrator, all three of whom shall preside jointly over the matter. The arbitrator shall take place at a location that is reasonably centrally located between the parties, or otherwise mutually agreed upon by the parties. SOCIAL ATTRACTION SPECIFICALLY DISCLAIMS ANY AND ALL WARRANTIES AND CONDITIONS OF MERCHANTABILITY, FITNESS FOR A PARTICULAR PURPOSE, AND NON-INFRINGEMENT, AND ANY WARRANTIES ARISING OUT OF COURSE OF DEALING OR USAGE OF TRADE. (iii) You agree that without regard to any statue or contrary law that any claim or cause arising out of this web site or its services must be filed within one (1) year after such claim or cause arose or the claim shall be forever barred; (iv) We may assign our rights and obligations under this Terms and Conditions and we shall be relieved of any further obligation. Hey Buddy!, I found this information for you: "Terms and Conditions". Here is the website link: https://www.socialattraction.co.uk/terms-conditions/. Thank you.